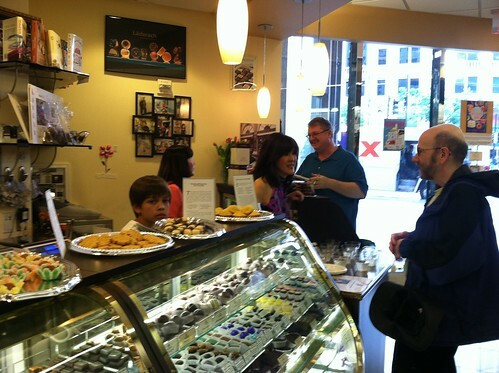 When sisters Ginger and Frances Park opened up their shop Chocolate, Chocolate in Dupont Circle, food allergies was the last thing on their mind. But after opening, Ginger discovered her young sonâ€™s sensitivities made even visiting the shop out of the question.Â A battery of tests, given from a very early age, detected that Justin had severe nut, dairy and egg allergiesâ€”all the best ingredients in the sistersâ€™ treats. 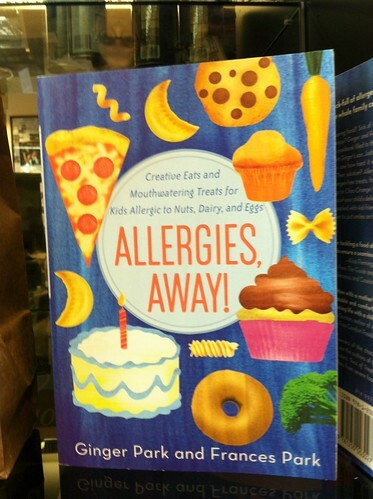 Allergies Away!, the latest book from the Park sisters. Determined to find alternatives for Justin that tasted even better than the real thing, Ginger and Frances got into their kitchen for some heavy duty recipe testingâ€”and found that allergen free treats didnâ€™t have to taste bland and boring. Inspired by their journey, the sisters wrote ALLERGIES, AWAY!, a kid-tested cookbook with awesome delights such as Rock Star Onion Rings, Seoulful Half-Moon Dumplings and Orange Chocolate Muffins. Last night, the sisters hosted a launch for their book, opening up their shop and featuring some of their best allergen-free recipes. 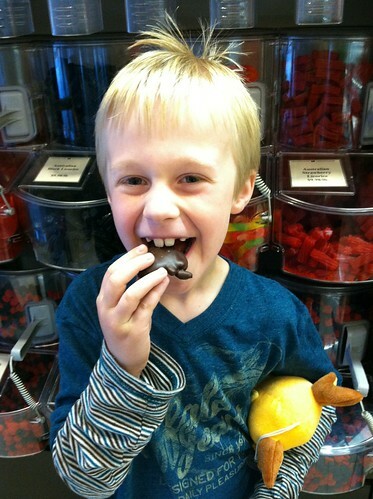 I brought my boyfriendâ€™s eight year old sonâ€”a self identified â€œsweet junkie.â€ I knew if they could past the Ben taste test, they had to be good. It was my first time to Chocolate, Chocolate and what a sweet treat! 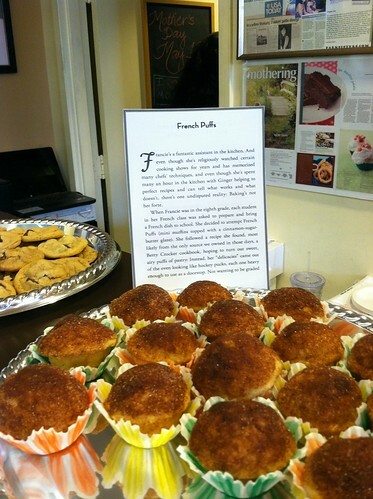 The sisters are so friendly and knowledgeable about ingredients and had the perfect recommendations for every desire. We sampled goodies like soy butter cookies and French puffs and the best tasting chocolate chip cookie Iâ€™ve ever tastedâ€”all completely free of eggs, dairy and nuts. 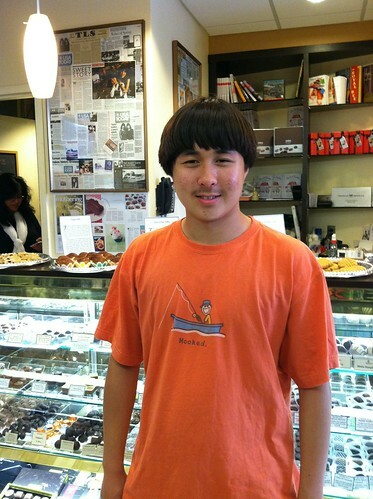 Even Ben agreed, the French puffs were the â€œmost awesomestâ€ food ever.